I just love this quote....makes me want to read this book...I think I might have read it before....I am not sure. 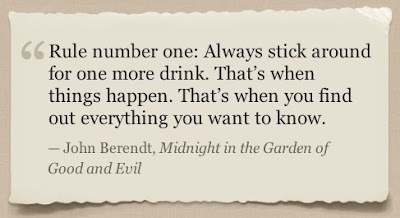 That one last drink can be the best end to a night or make it become the worst. I have had it go both ways. Hi Alli, I actually just ordered the book yesterday! 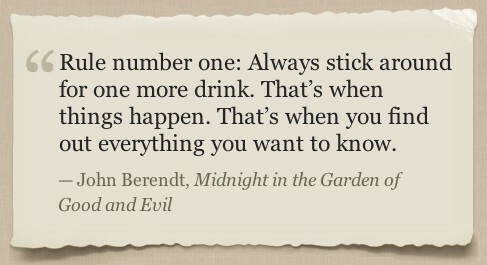 Great quote, great book. Enjoy!